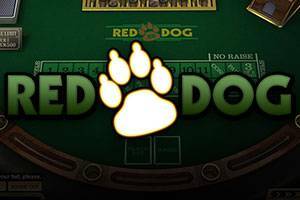 Welcome to Red Dog, a simple but exciting, fast-paced card game. The dealer will deal 2 cards. If the 2 cards are of the same value, a 3rd cart is dealt. If the result is a tie, it results in a push. If the result is a 3 of a kind, you will win 11 to 1. 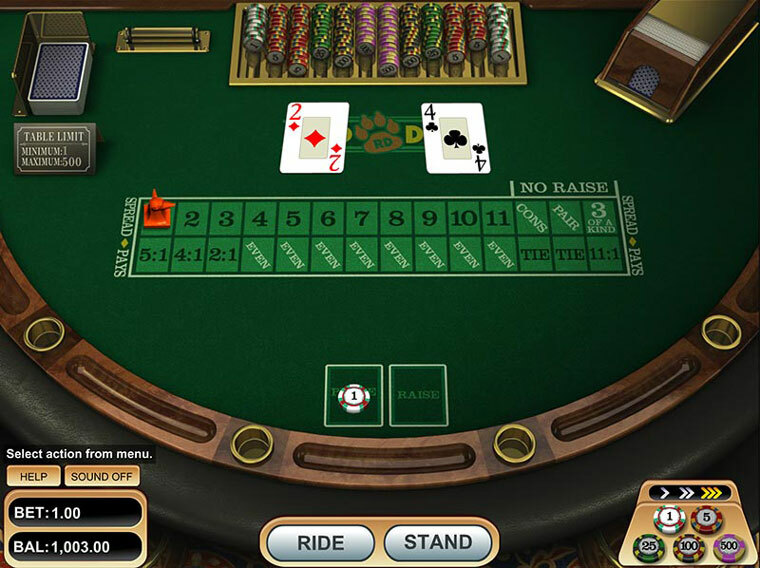 Otherwise, you will be prompted to ride or stand, based on whether or not you believe the 3rd card will fall in between the values of the previous 2 cards.